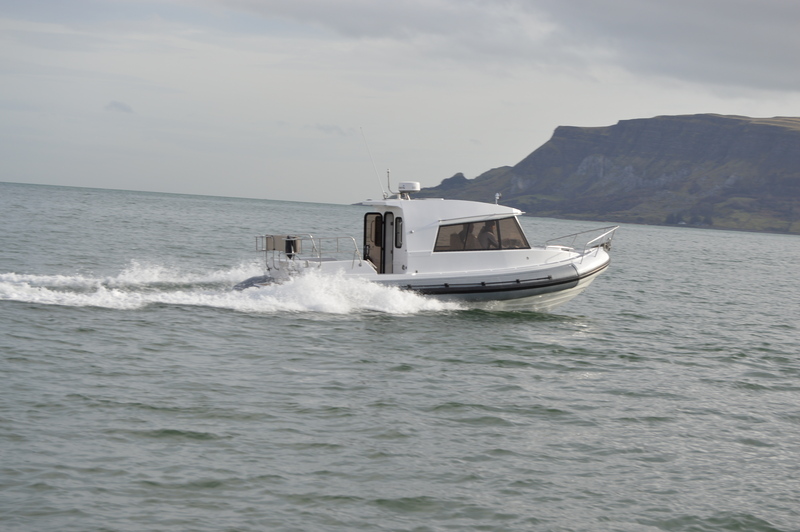 The design is a combined development from the existing wrap around consoles and from the full GRP Cabin versions of the Stormforce 11. 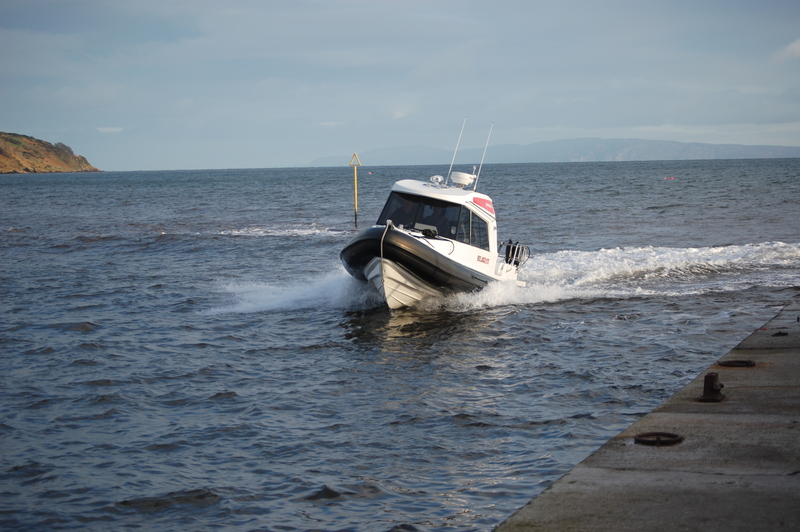 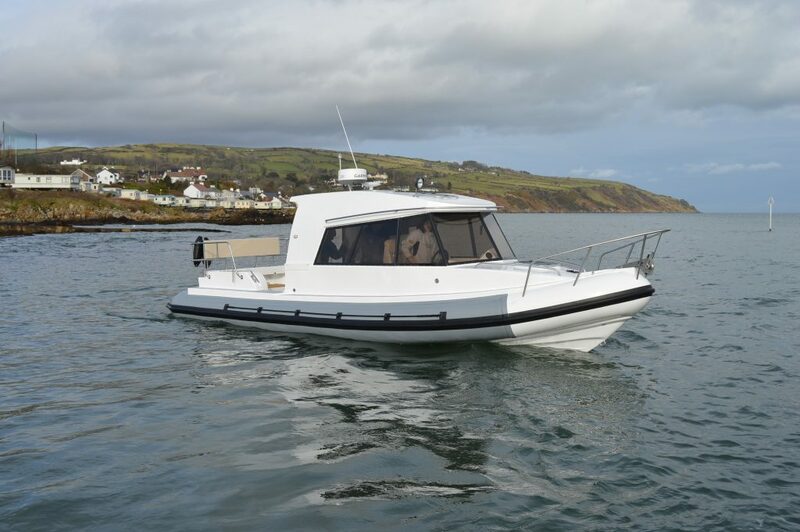 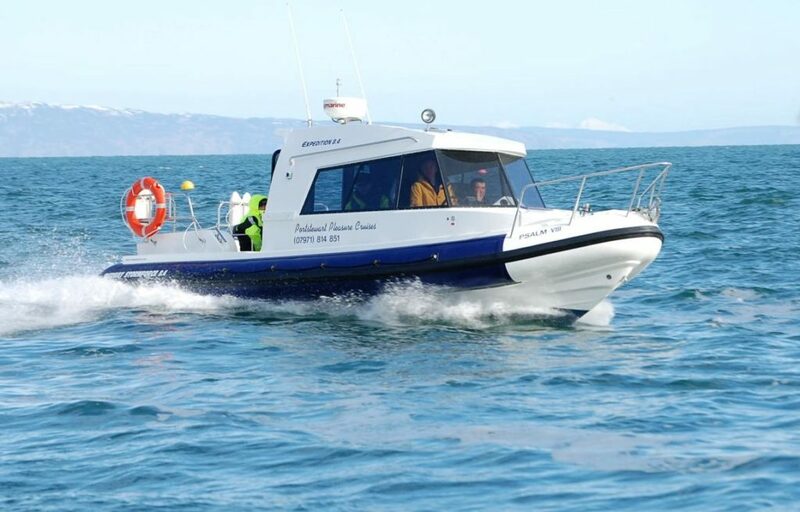 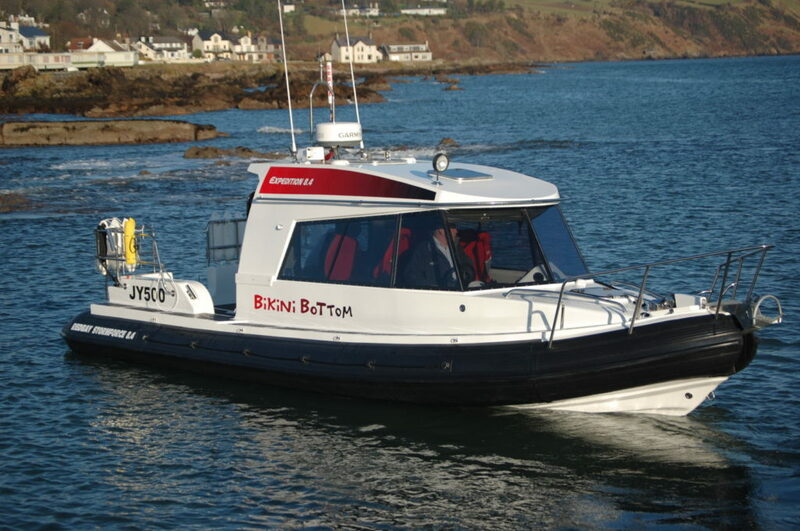 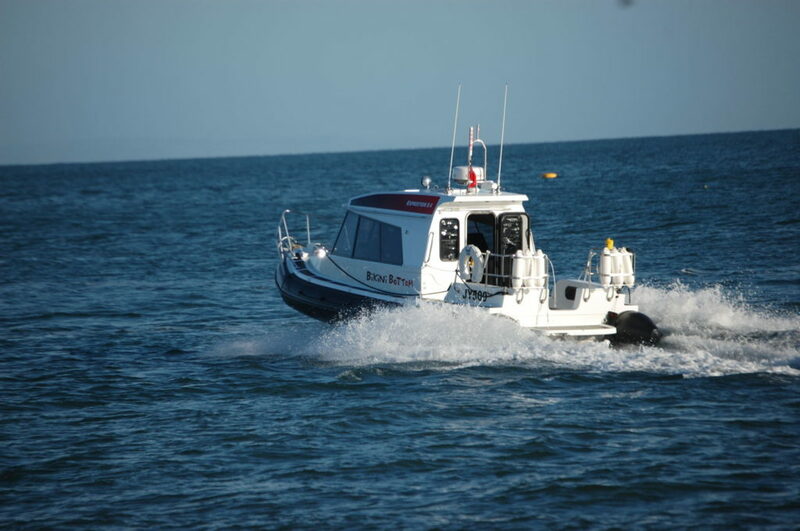 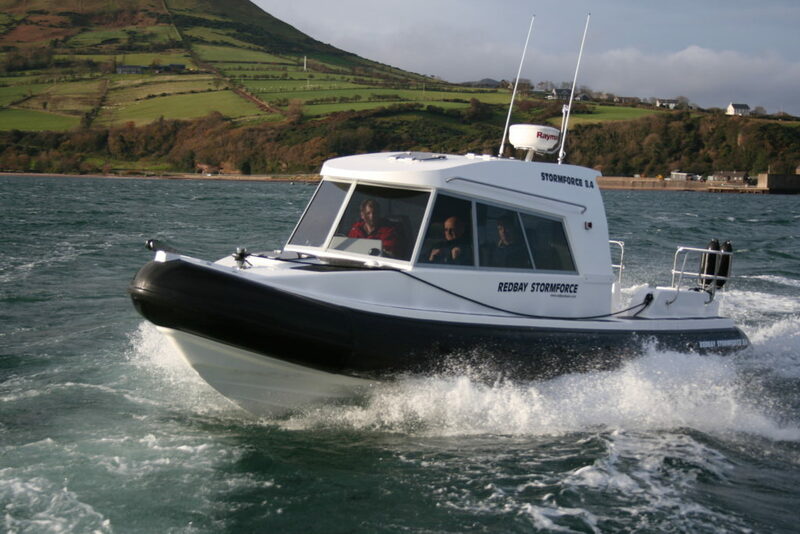 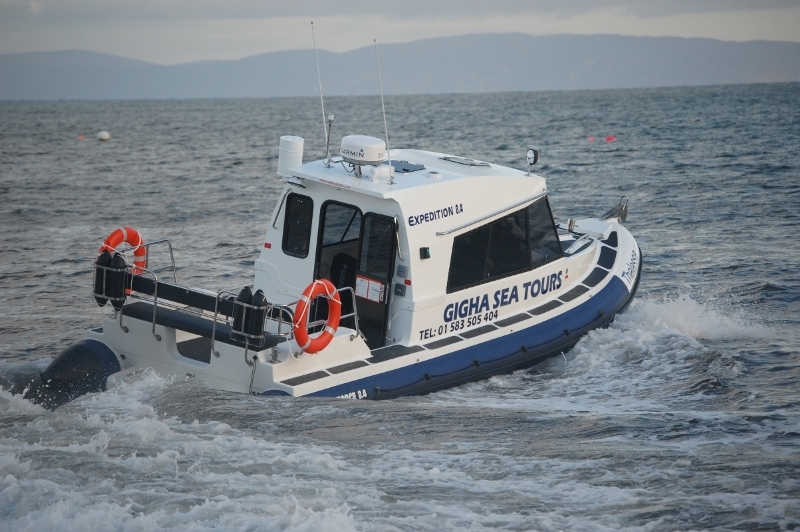 The obvious feature is that the Expedition has a full GRP cabin which has allowed us to manufacture an extremely strong and safe RIB, fitted with wrap around toughened glass screen for maximum visibility and safety. 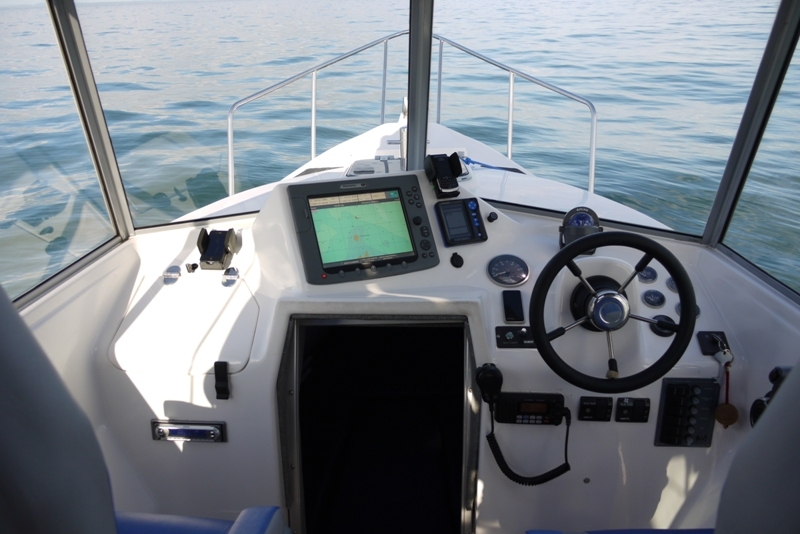 The cabin has resulted in low noise levels, leaving a pleasant ambience for offshore cruising. 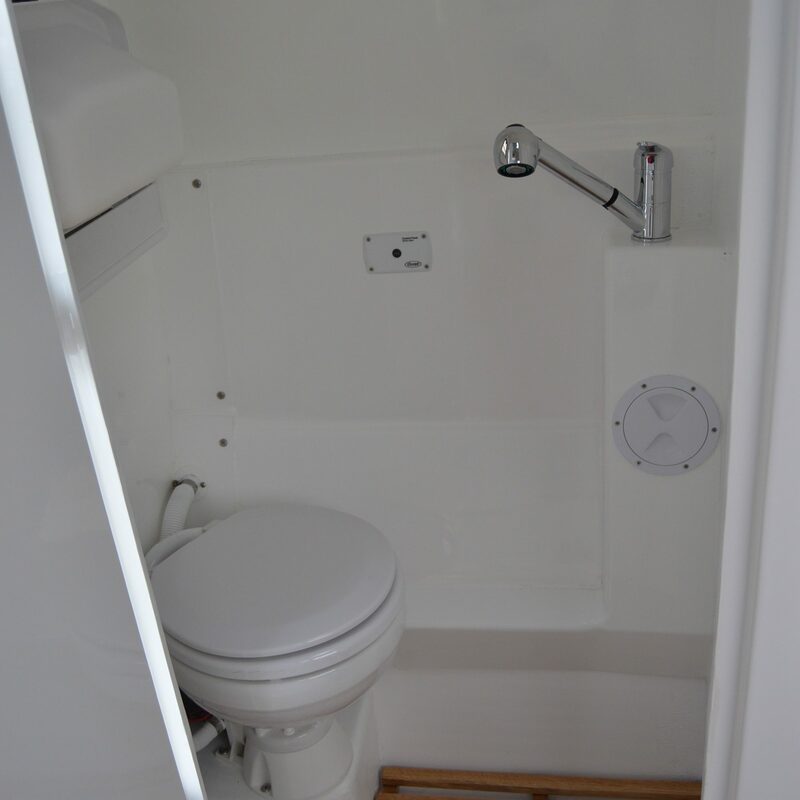 Access around the cabin is via wide side decks. The Expedition also brings several features previously only found on our larger RIBs, such a the hardnose, for example. 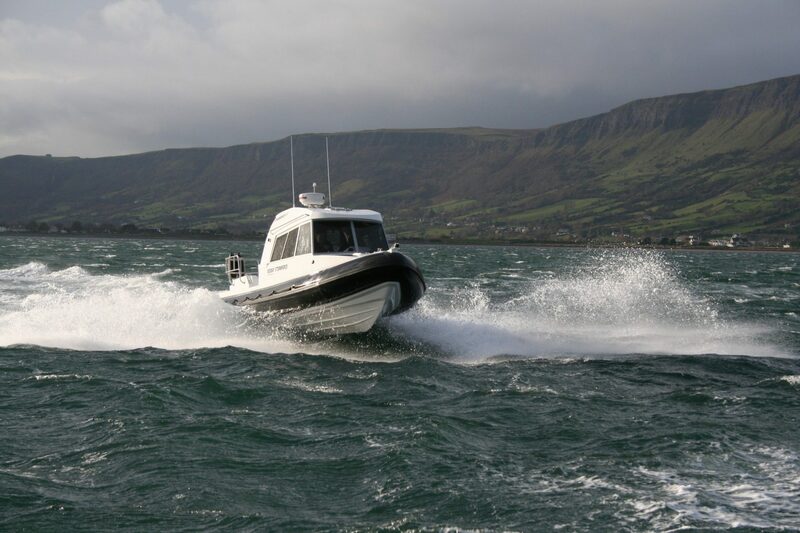 Over the years, the hardnose feature of the Stormforce 9.1-11 has proven itself very worthy, and it was felt that this feature should be incorporated at an early stage in the development of the Expedition. 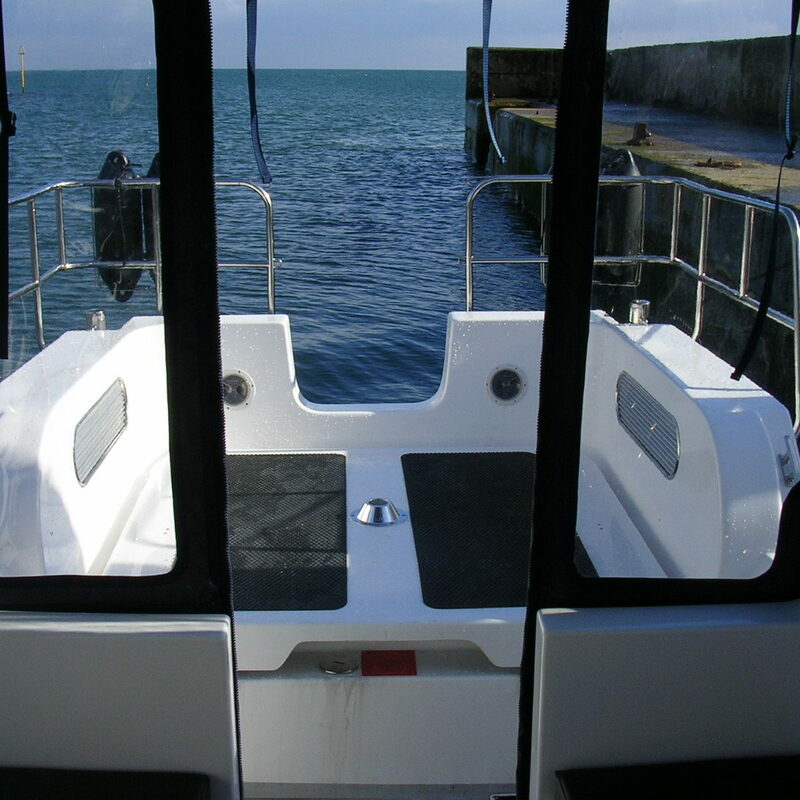 The hardnose has the most important safety feature of helping to prevent detubing, which is a risk when offshore cruising in large seas. 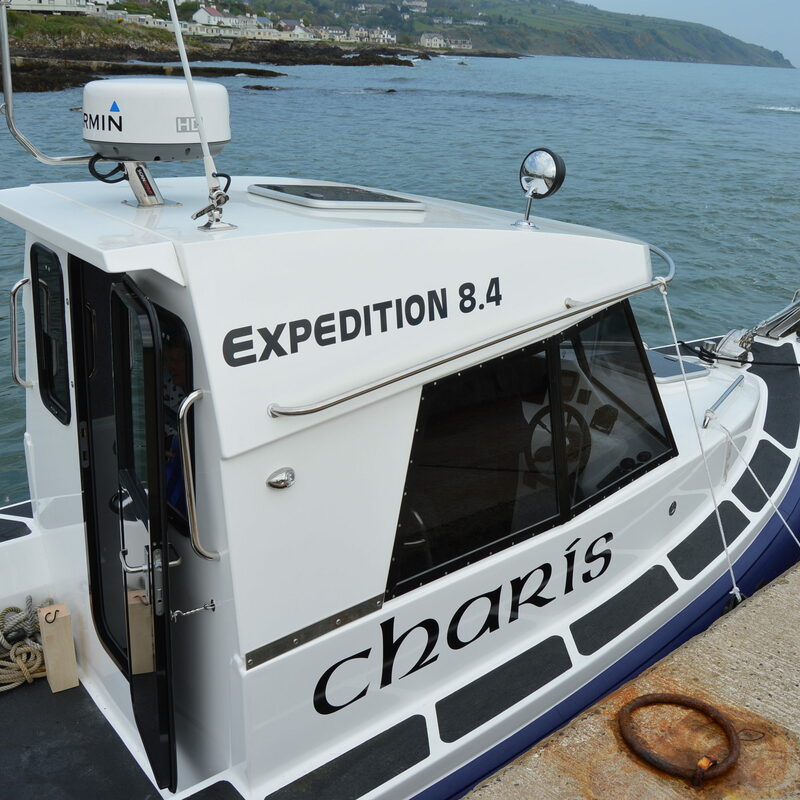 It also provides a secure anchoring point and in the Expedition version we have fitted an anchor locker within the nose to make full use of this benefit. 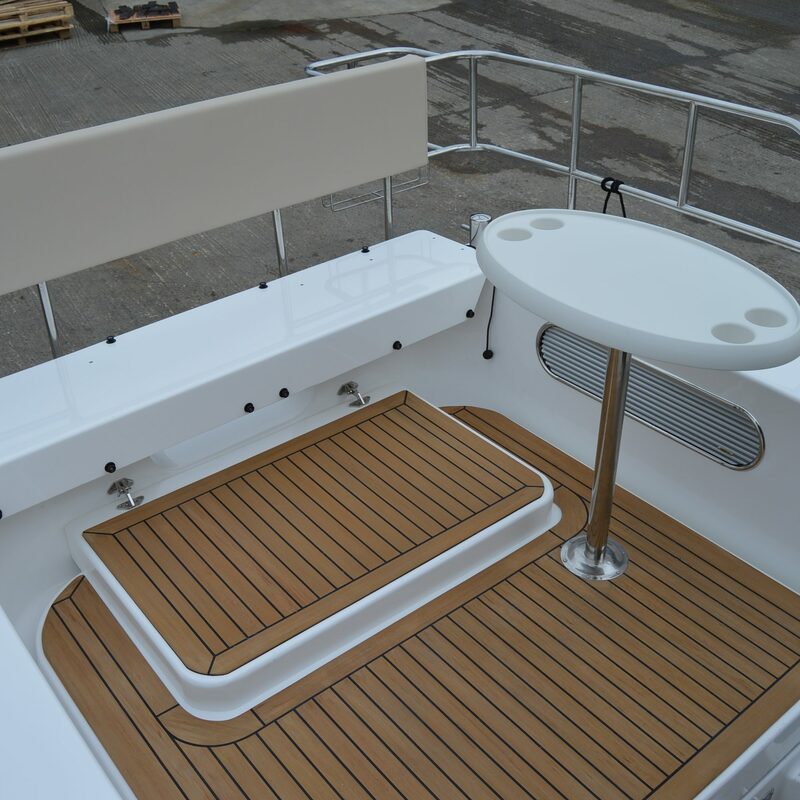 The hardnose has also allowed us to fit two berths in the bow which is usually quite difficult, but as a result, it offers a lot more storage space. 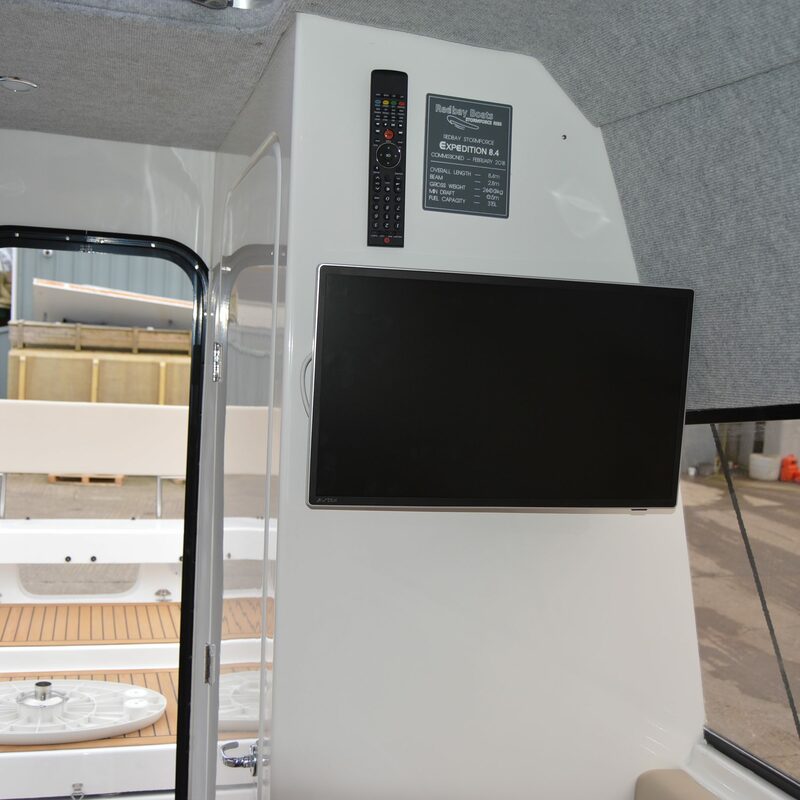 There is also adequate room to comfortably sit upright in the forward cabin, which was another of the major requirements for the new design. 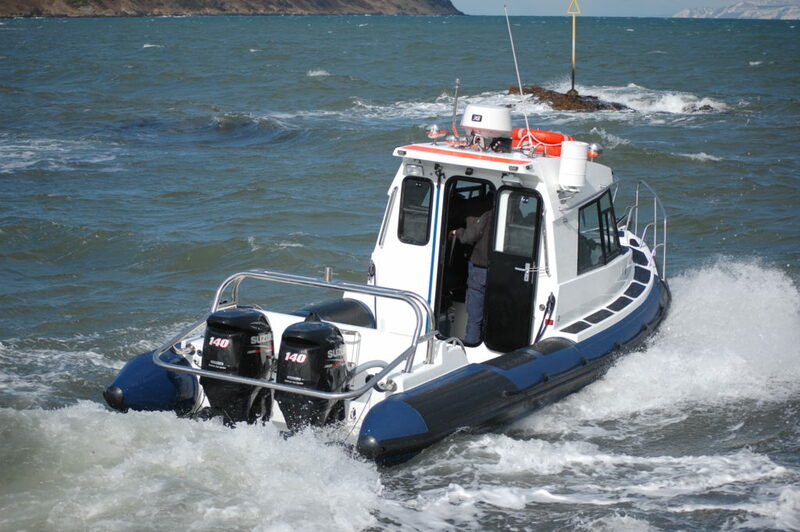 In effect, we have ensured that the total length of the RIB is utilised in some way. 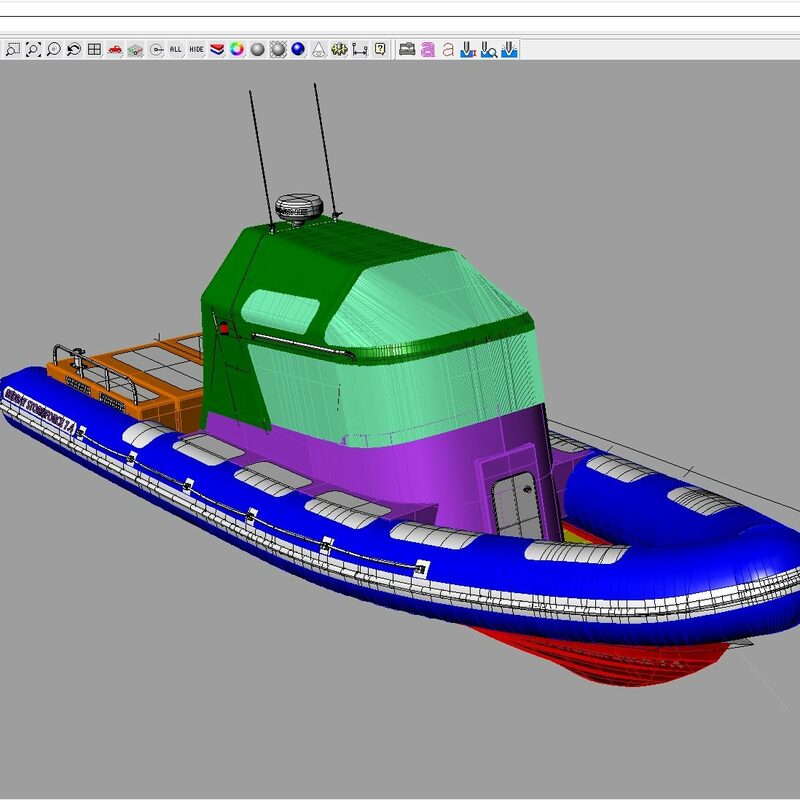 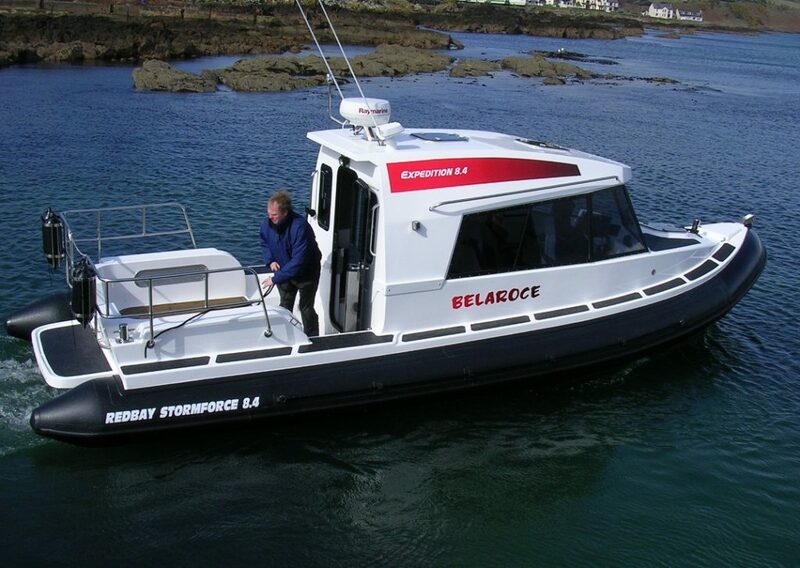 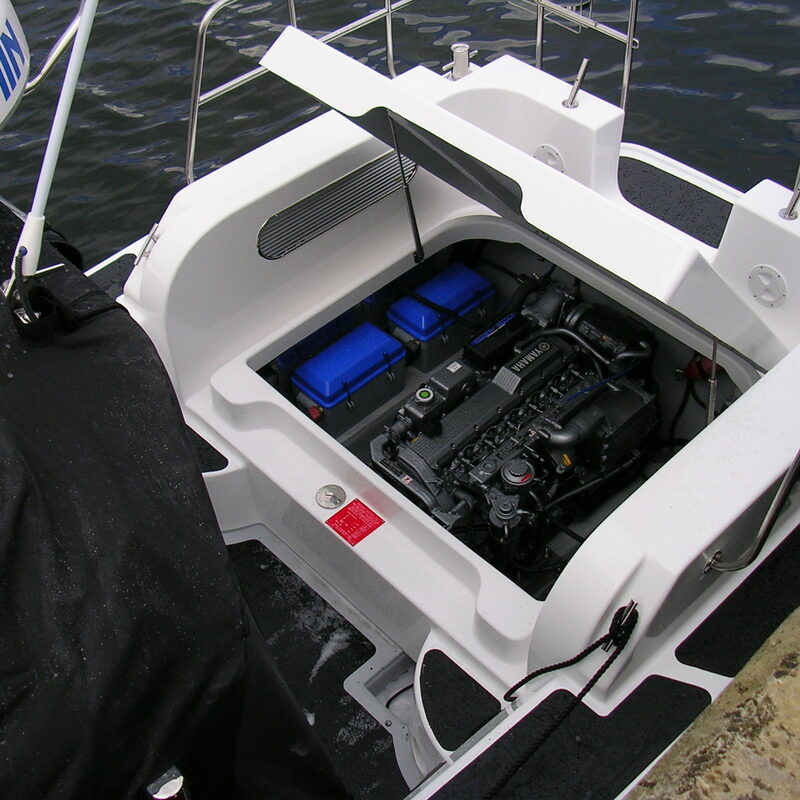 The stern/engine bay arrangement was also developed from design details of the larger Stormforce RIBs which is highly advanced in reducing and eliminating spray and sea water from entering the engine bay and, therefore, reduces any risk of the engine flooding. 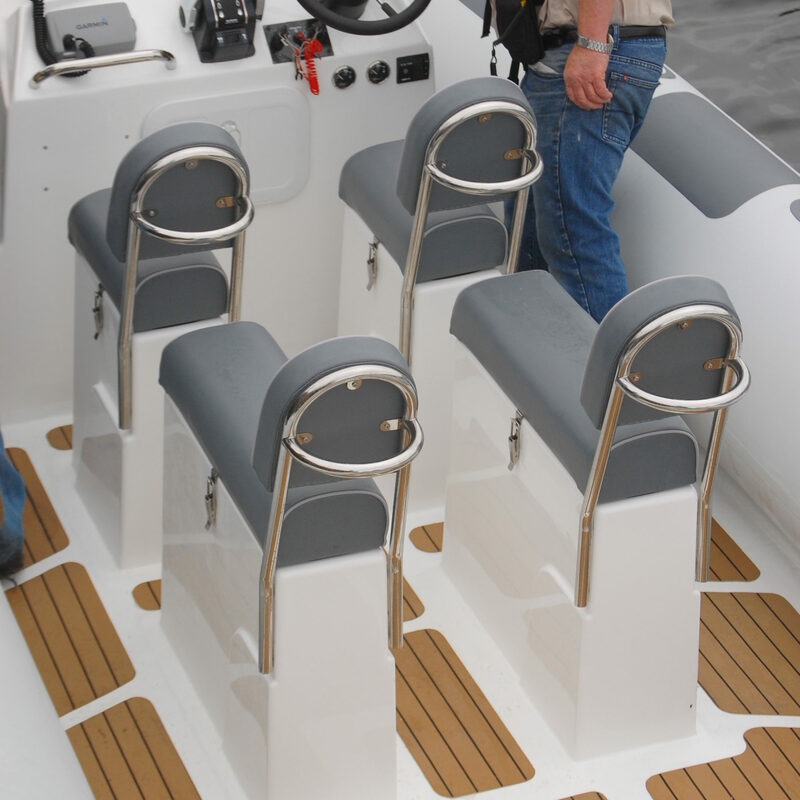 It also provides a large seating/sun lounging area aft. 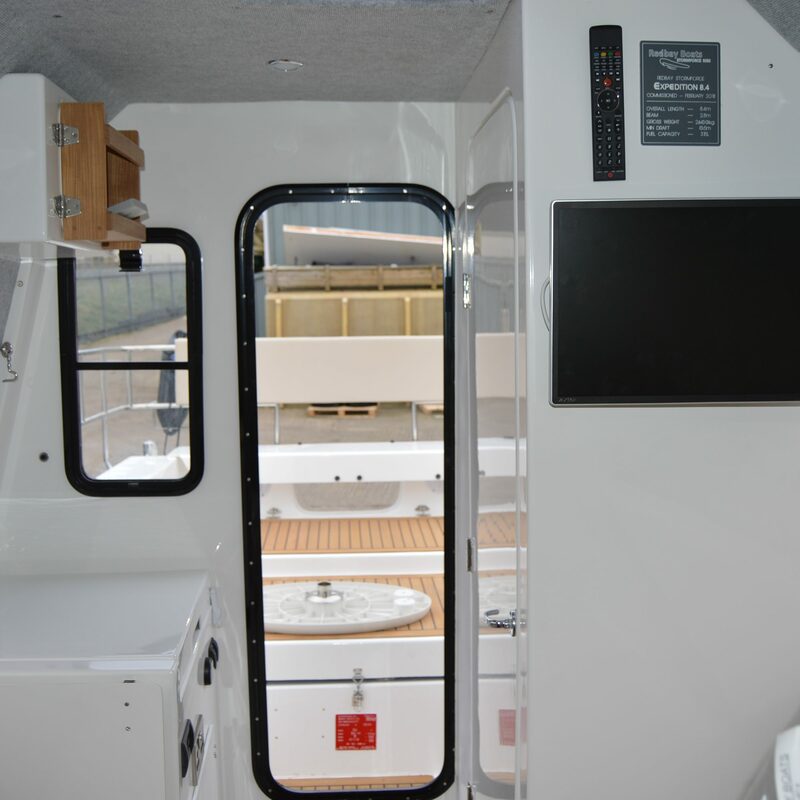 The most striking feature about the interior is just how airy it is, which helps to ensure maximum comfort for all onboard when at sea. 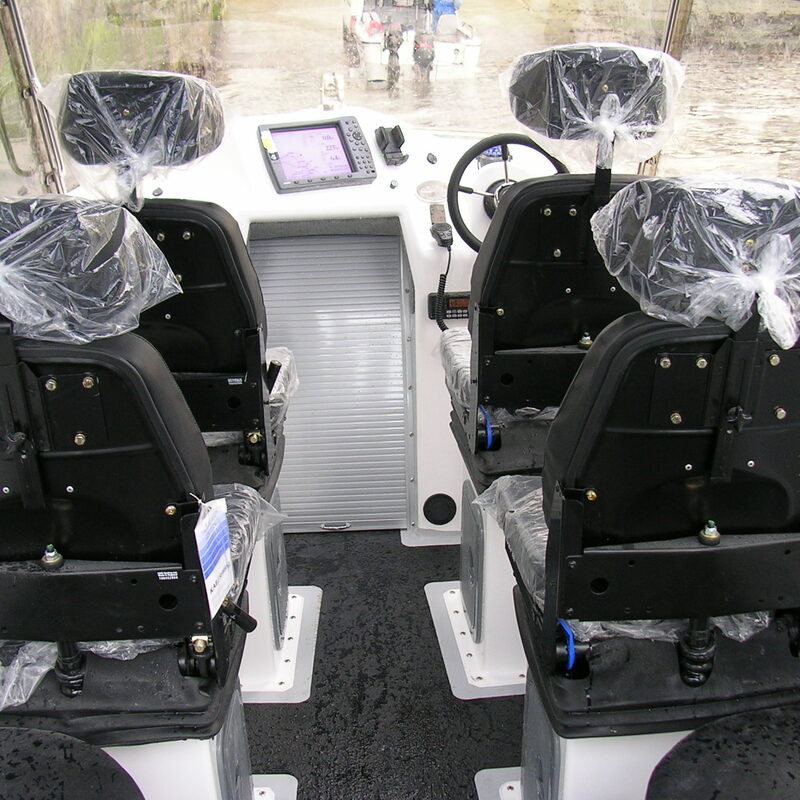 The interior sides, rear seating, console, exterior deck, sides, bow and engine bay are all taken from the one mould. 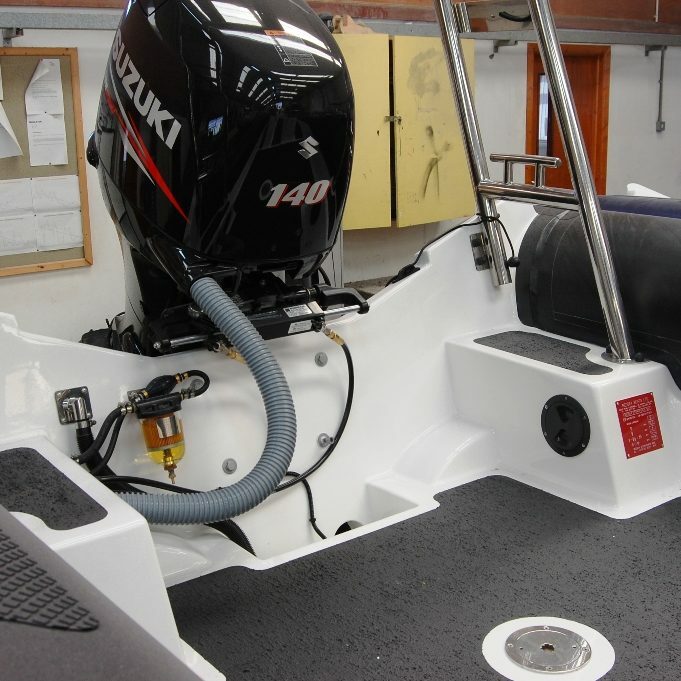 This ensures the highest quality finish, reduced build times and is perfect for the lower sides of the cabin which can be subject to the usual bumps, knocks and mucky fingers! 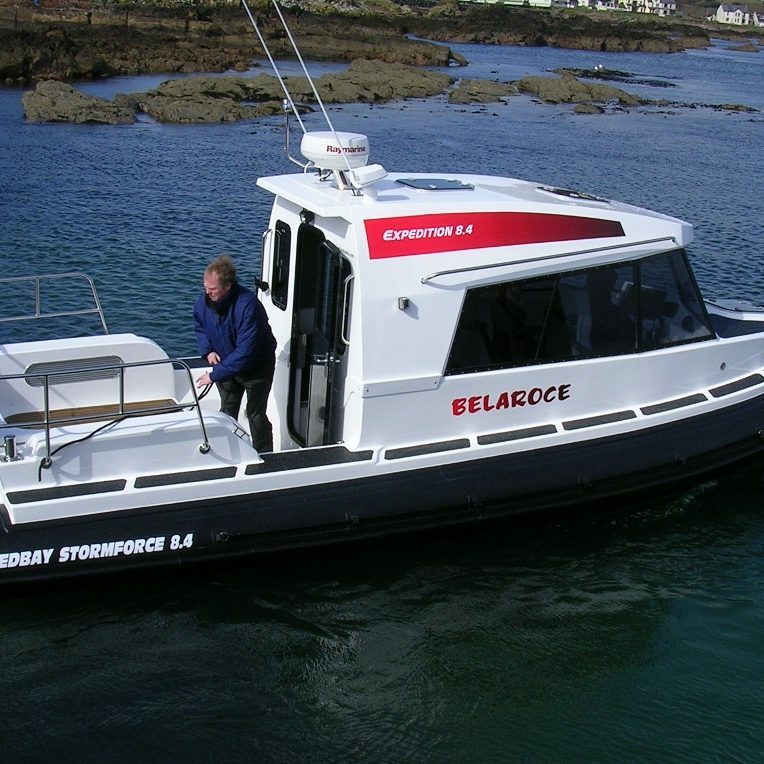 Along with having two moulded side benches with integral storage aft, Expeditions are normally fitted with four High Back Comfort Seats, with storage beneath as standard. 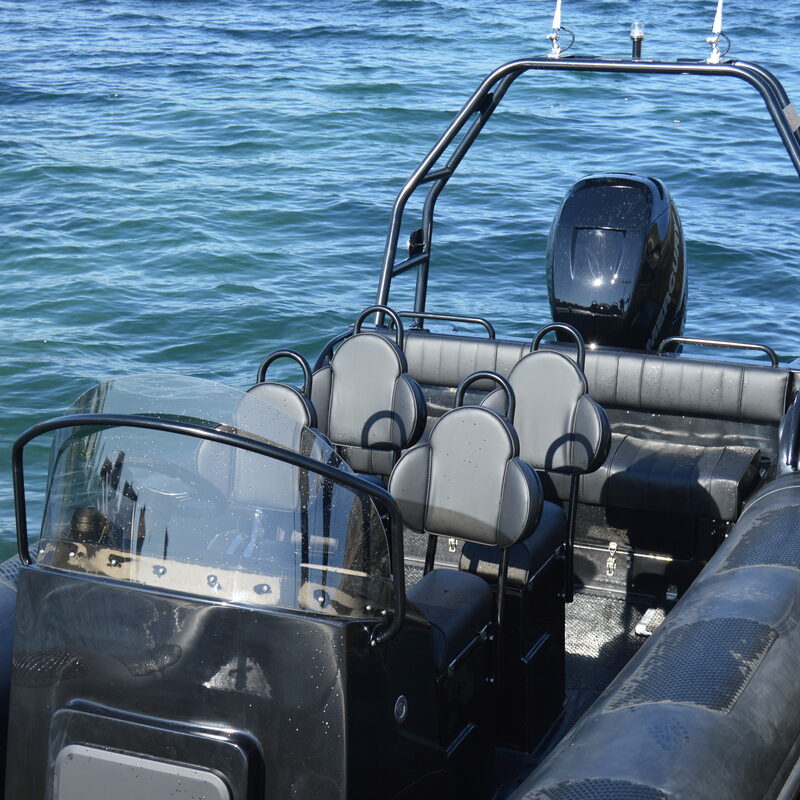 The High Back Comfort Seats add a higher level of comfort and security than traditional RIB seating arrangements. 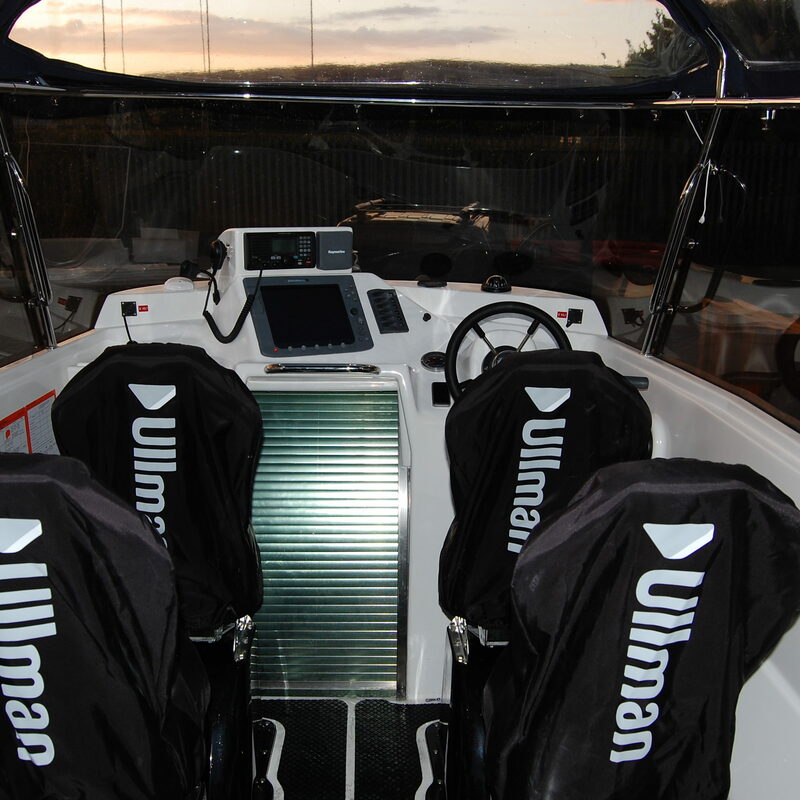 Air Sprung Suspension versions are also available. 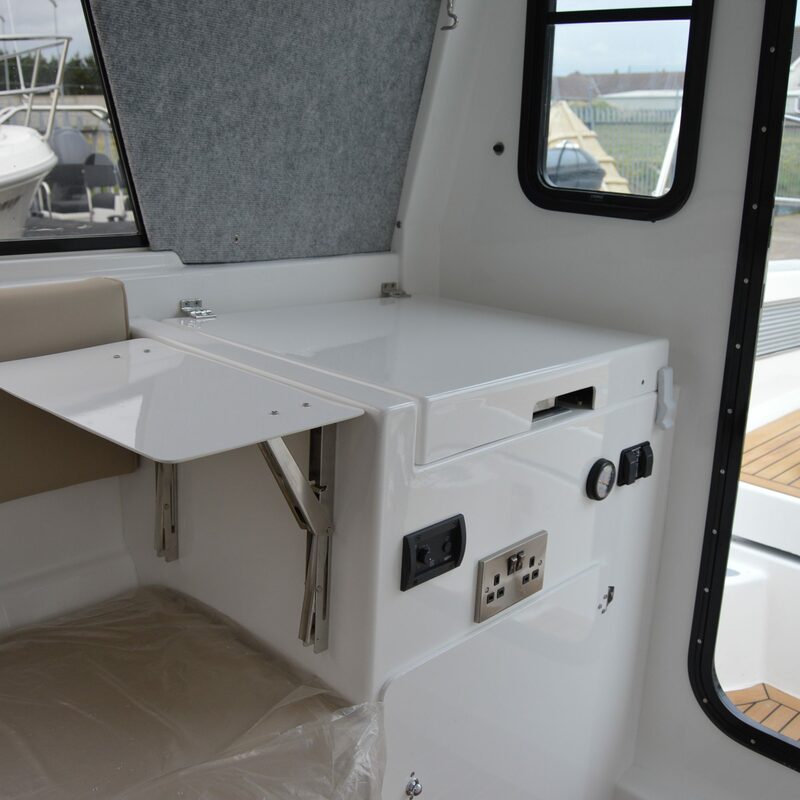 Galley unit with the option for a Wallas Stove which can act as a cabin heater with the blower lid. 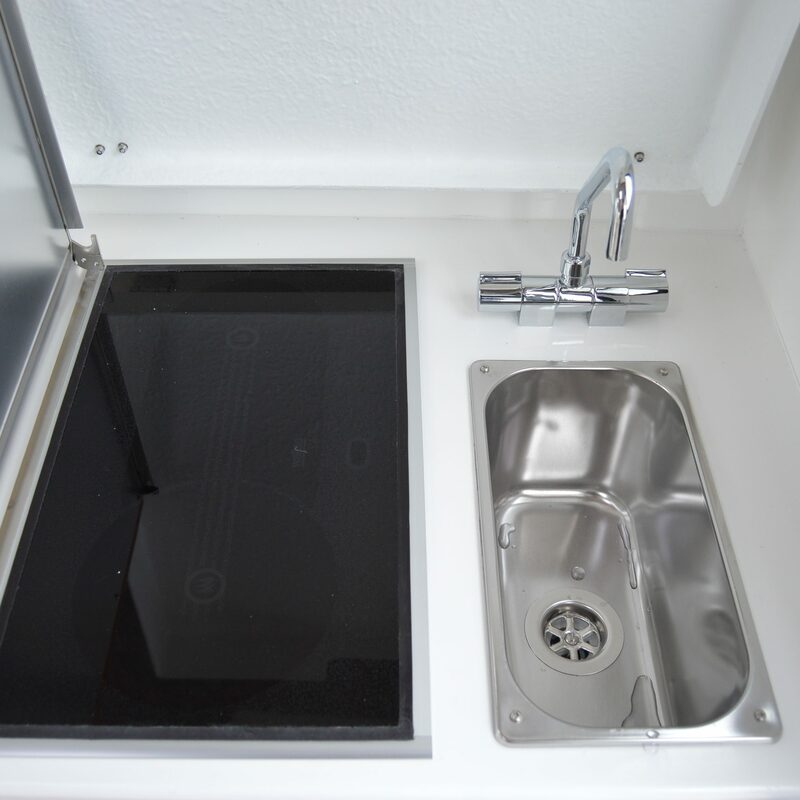 A stainless steel sink with running hot and cold water. 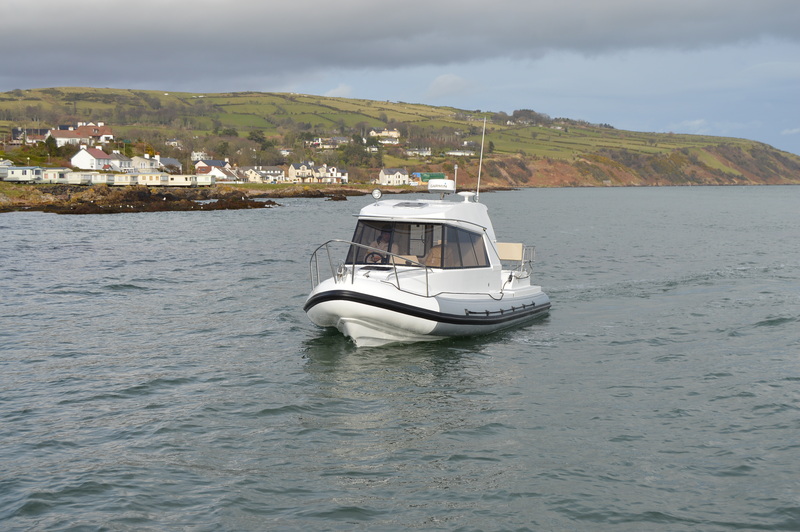 It can also be fitted with a fridge or a microwave.